Last summer, Veterans Affairs Secretary David Shulkin and his wife enjoyed a ten-day “work” trip to Europe that included a match at Wimbledon, a tour of Westminster Abbey, and a jaunt through a Danish castle, among other non-work excursions. Months later, the trip drew criticism when it was revealed that Shulkin’s wife, Merle Bari, flew on the taxpayer dime and received a per diem for meals and other expenses. Bari, a VA spokesman told the Washington Post last September, was traveling on “approved invitational orders,” which is why taxpayers footed the bill. But now the VA’s inspector general says that was a lie. In a new report released Wednesday, Inspector General Michael J. Missal says Shulkin’s chief of staff doctored an email to make it appear that Shulkin was receiving an award in Denmark and then used this nonexistent honor to justify taxpayer funding of his wife’s travel. According to the report, Vivieca Wright Simpson altered the text of an email to make it sound as if Shulkin was being honored at the U.S. ambassador’s residence in Copenhagen. She then took this email to ethics officials, who had previously denied a request to pay for Bari’s travel, and received approval to cover her $4,300 plane ticket with taxpayer funds. 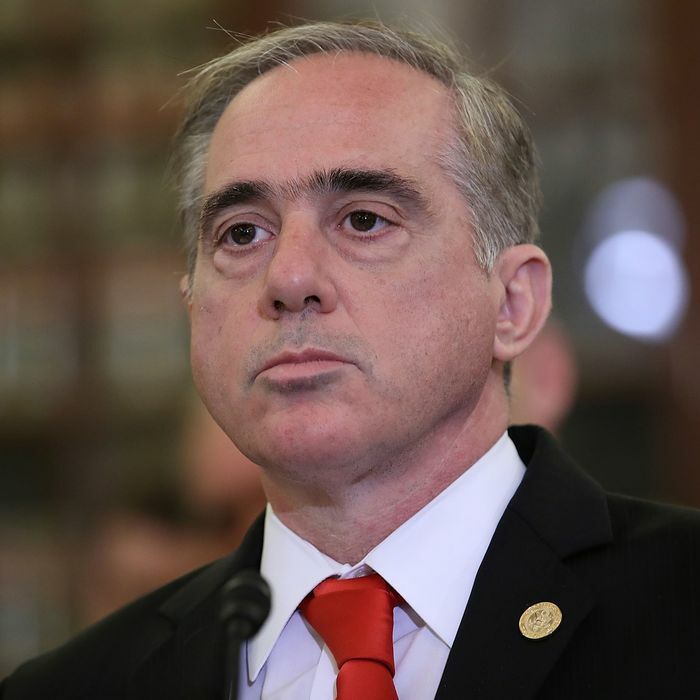 “Secretary Shulkin did not receive an award or special recognition during this Europe trip,” Missal writes in the report. But when the inspector general interviewed Gosling about the issue, she was unable to remember Bari’s first name. After a long pause, Ms. Gosling was unable to recall Dr. Bari’s name, stating, “You actually – I think that kept throwing me. I’m actually having a genuine blank here.” Ms. Gosling was unable to recall Dr. Bari’s name before the interview concluded.